It is with great honour that I present an interview that I had conducted with Courtney Sina Meredith. I first met Courtney a few years back and since then I have seen her public poetry performances which have been truly inspiring. She is an amazing young woman who is gifted and talented in all her endeavours which makes everyone who know and love her incredibly proud. I sure am proud of her. Before I share the interview, here are some background information about Courtney which will provide you with a glimpse into her world as a young poet, playwright and musician. 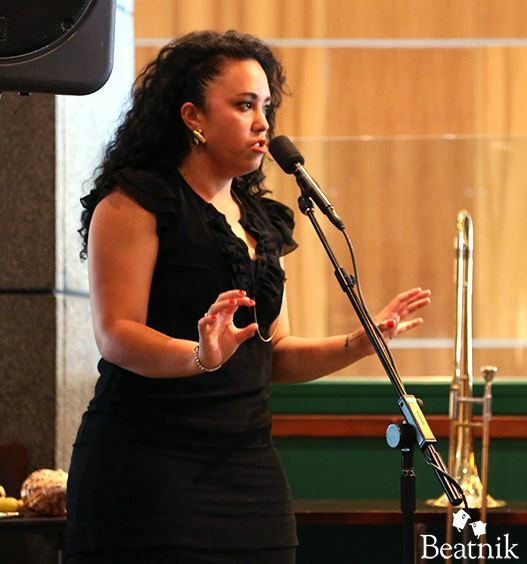 Born in 1986, of Samoan, Mangaian and Irish descent, Courtney’s passion and drive to excel in all that she embarks on has seen her travel locally, nationally and internationally to conduct performances and speaking engagements. With a University of Auckland background in English, Political Studies and law, she has delved into her artistic nature which has resulted in her receiving international residencies, the translations and publications of her works and recognition on a global scale. She describes her works as an on-going discussion of contemporary urban life with an underlying of Pacific politique. Courtney has accomplished a lot in her career thus far which is very encouraging. 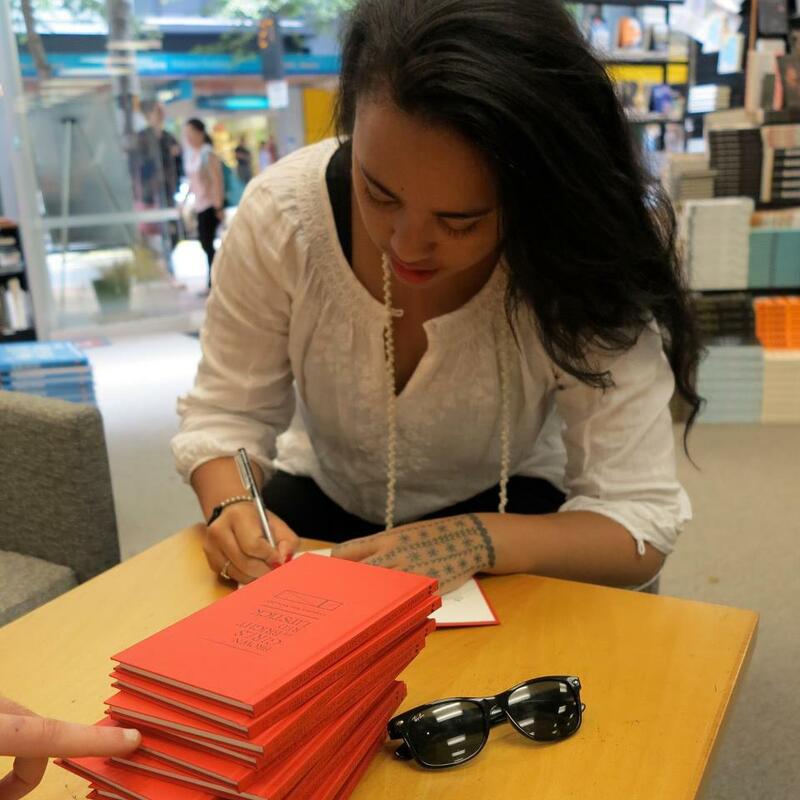 Her first book Brown Girls in Bright Red Lipstick, published by Beatnik, was launched in Germany at the Frankfurt Bookfair in October 2012 where she also performed with Samoan dance group Tatau and took part in readings around the city. I have a copy of her book and it definitely is a refreshing piece of work which is relevant to all who are growing up in today’s society. I highly recommend it. Also, Courtney’s collection Silvertip was published within Landfall’s Frankfurt edition 2012. Additionally, her play Rushing Dolls won three national awards and was published by Playmarket in November 2012 within an anthology of new plays. The title of the anthology was created by Courtney – Urbanesia, a word that seeks to represent new Polynesian communities in urban areas. 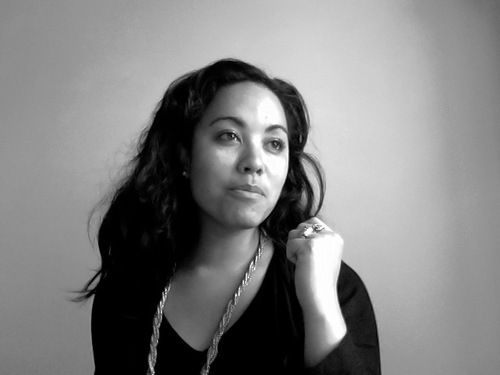 As the first New Zealander, the first Pacific Islander and the youngest artist to be selected as writer in residence for the LiteraturRaum Bleibtreu, Berlin in 2011, Courtney was also featured in Mau Theatre’s world premiere of Le Savali. 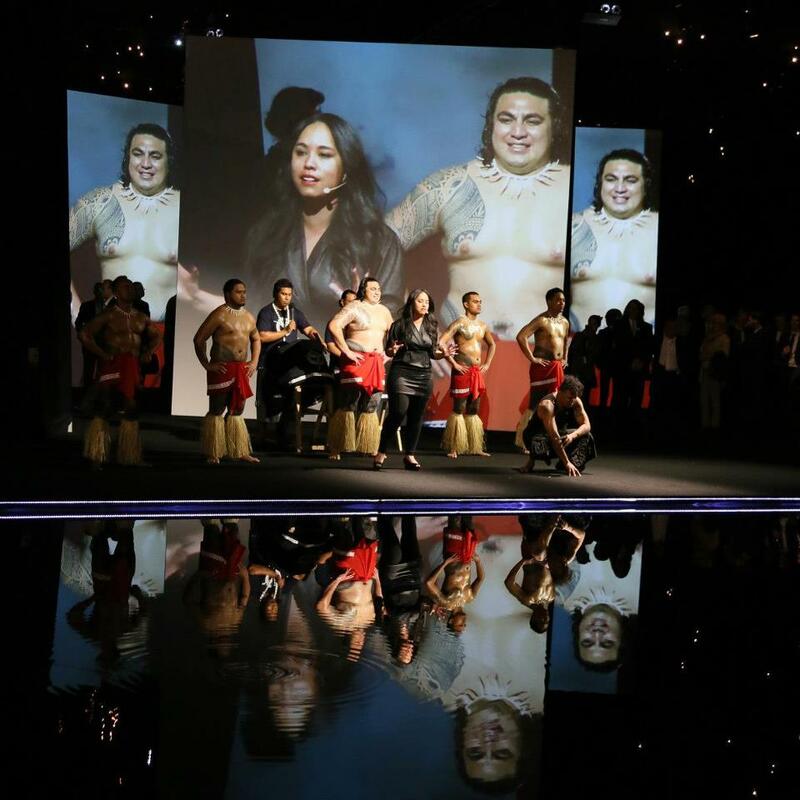 Courtney Sina Meredith performing with Tatau at the Frankfurt Bookfair 2012 opening of the New Zealand Pavilion. In addition, Courtney toured Indonesia in April 2012 for the International Poetry Festival (Forum Penyair) across four cities, a selection of her poetry was translated into Bahasa Indonesia. She visited London in June 2012 as a delegate for the British Council for the Velela Festival, which formed part of the Cultural Olympiad. She was also invited to Oxford University and to the House of Lords. Moreover, Courtney exhibited Machen Saya as a part of Tolu Lima at Mangere Arts Centre in August 2012. The installation was comprised of a new daily poem sent to the centre daily – which was then printed onto a transparent sheet and projected within the gallery. Courtney wrote 38 new poems which will soon be made available as a limited edition collection. The poems were accompanied by a soundscape of German and English, recorded during her time in Berlin. Furthermore, Courtney was nominated and subsequently selected for the Aspiring Leaders Forum in July 2012, an annual event that brings together 100 of the brightest, most courageous and committed young leaders from all over New Zealand. Courtney was also nominated for a Radcliffe Research Institute Fellowship by Lloyd Jones, Toa Fraser and Brian Boyd at Harvard University for 2013. 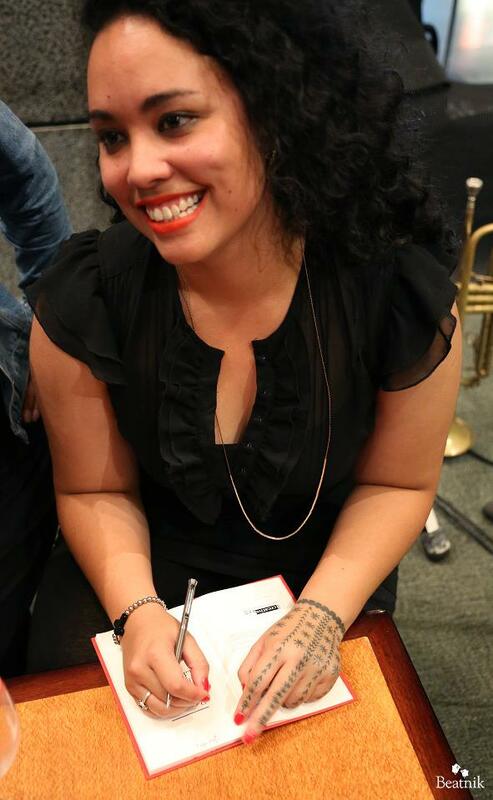 She is currently the featured poet for Poetry NZ 46. To add to these brilliant accomplishments, Courtney is employed fulltime as the Arts Advisor for Auckland Council where she develops programmes for young artists, diverse communities and community artists. MP: Thank you for your time. I truly appreciate it knowing how busy your schedule is. Lets get started, you are of Samoan, Mangaian and Irish descent. How do these three cultures inform your work and/or shape you as a person? CSM: Thank you for having me on your blog. Well, I had a rich, colourful and plentiful upbringing – it really did take a whole village! My work is deeply informed by my blood, I never feel alone when I write or perform – in saying that, anything I do in this life feels like a next step or an echo of something begun long ago by my ancestors. I feel responsible to be all that I can be to make my family proud, after meeting so many different people from all walks of life I’ve learned that my cultures are not unique in this way – but unified with all peoples who live and imagine life collectively, that the act of one can be the gift of many. 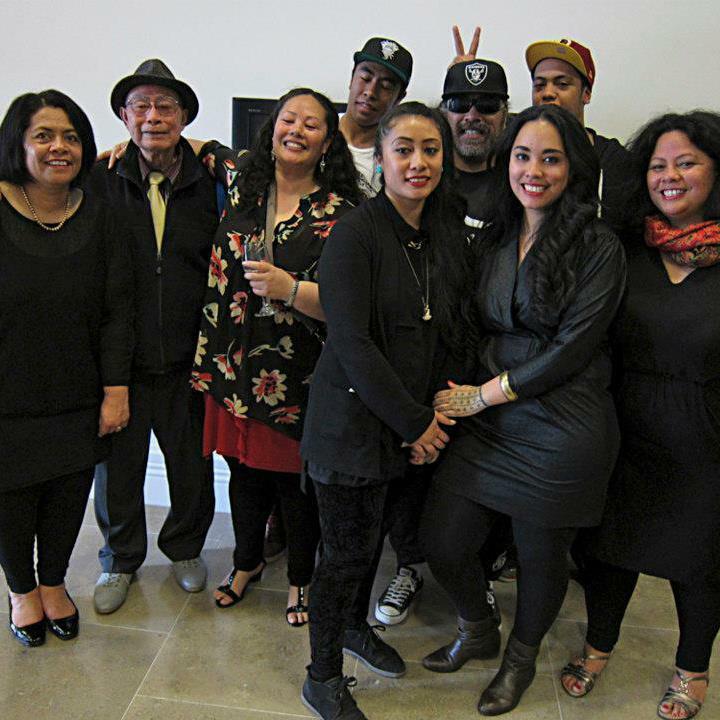 Courtney Sina Meredith with her family at her Auckland book launch in 2012. MP: I like how you’ve stated that you feel responsible to be all that you can be to make your family proud. That’s empowering. So where did your passion for poetry and prose stem from? CSM: Thank you. Well, I’ve been singing and rhyming, dancing and performing since I first came into this world! I meet so many artists of all genres who talk about their craft as a part of themselves they can visit when they choose, which I envy. Me, I’ve always been this person, for as long as I can remember – whole songs, whole poems, whole stories have read themselves aloud in my mind and I’ve had run to find paper and pen to write it all down. Sometimes I get woken up by verse, sometimes I have dreams where I’m talking to ancient members of my family and we discuss life, death, love – we debate, agree, disagree and so on. My mother has always said, you have to live to write, it’s true. The best of my work comes from challenging myself beyond what I know, to get there I have to adapt – I have to become my worst fears or give myself permission to wane, or cultivate a kind of confidence to achieve a specific goal. At the end of the day, I will do whatever it takes to develop, progress and extend myself – in order to essentially evolve my poetry, prose and the general quality of everything I produce. 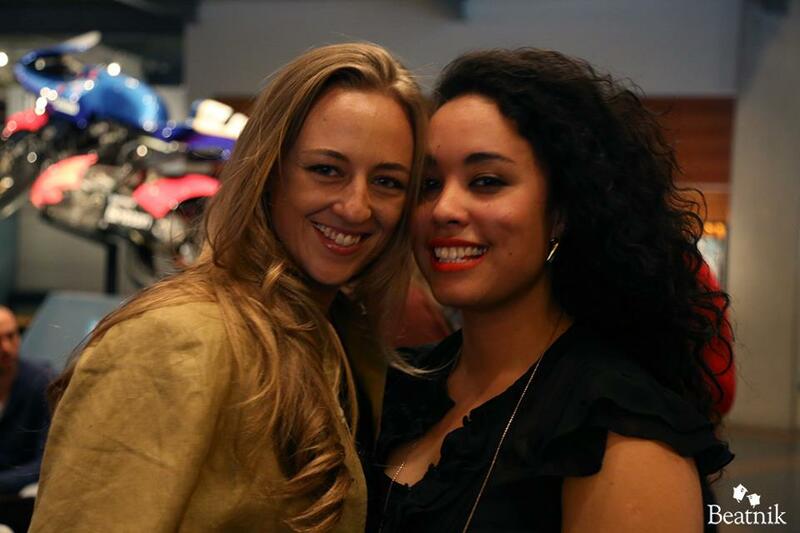 At Courtney Sina Meredith’s Auckland book launch 2012. From left to right: Sally Greer (Courtney’s publisher), Poet Robert Sullivan (who wrote the foreword for Courtney’s book) , Kim and Kingsley (Courtney’s parents) and editors Michael Onslow-Osbourne and Janet McAllister (Courtney’s editors). MP: It’s special that you mentioned your Mother’s influence in your work. Are there any writers that have inspired you to pursue this career path? CSM: It’s great that you’ve asked that. My mother is actually an incredible writer, she is and always will be my favourite poet. I love her work for two primary reasons, one – she writes what she knows so her work is the genuine sum of her experiences, and secondly – her poetry is like good wine should be, it has a natural wisdom to it, it is clear like spring water and you come away from her page a different person. Poetry to me, is the translation of one person to another, my mother has that astute understanding – she’s very good at finding the point of anchorage between people and the world around them. Continuing in that vein, I’m inspired by so many things, this world is full of interesting moments, people, colours – I never know exactly what will connect inside of me and eventuate into a piece of art. There are a small handful of precious people who inspire me to write often, my late grandmother Rita Sina Meredith is at the top of that list. I like to write about my life for her, I like to plait our memories together onto the page, it makes me feel closer to her and that’s what gives me joy. MP: It is wonderful that you have your Mother and your Grandmother as the strong pillars of hope and strength for you. You have definitely followed in their footsteps whilst carving your own path in life. Amazing! Who are the most influential people in your life? 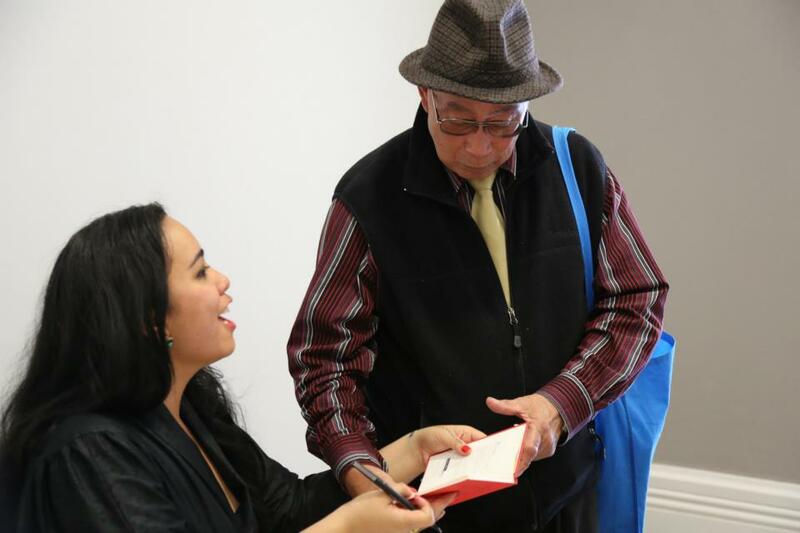 Courtney Sina Meredith with her Grandfather John Meredith at her book launch in Auckland 2012. CSM: Thank you. I would definitely have to say that the most influential people in my life are my family members. I have very special parents who have raised me to appreciate that my art is a journey, a lifestyle. In saying that, they do have very high expectations and they challenge me to be the best that I can be for me – not for anyone else. This is an important message that has kept me firmly aware of who I am, where I come from and where I’m going. My dad is the best dad in the entire universe, he’s an amazing musician and such an established artist that we can talk about anything together and I always know that I can count on him to know what’s best, how to present and preserve my ideas, how to hone my craft, how to carry myself with dignity and always be proud of what my work is regardless of what anyone else thinks about it. My family mean everything to me, of course it’s really nice when critics and fellow authors appreciate my work too, but when my little brothers say they love me and they listen to my poems without flinching – when I know they understand a part of themselves through something I’ve created – then I know I’ve made something beautiful. MP: That is truly heart-warming to hear. You are blessed with a loving and supportive family. Please explain what your vision for your work entails. CSM: Thank you, I appreciate that. Well, to understand the vision I have for my work, comes firstly from the vision I have for myself. I have very, very high expectations of what I can, have and will achieve in this life – because I don’t belong to me. I belong to my mother, to my mother’s mother and so on. When I look in the mirror, I see one face of hundreds, of thousands. I think of the eternal love it took to survive all the wars, the plagues, the elements – for every person to connect over the centuries to one day create me. I push myself to honour those people and the long stretching line of my life into, beyond and from the past. In saying that, my vision is for my work to empower others, it has a function, I expect every word to work. It isn’t enough for the work to be beautiful, it should be functional, you should be able to sail it across choppy waters or stand underneath it and keep dry from the rain. MP: That is deep and powerful. Thank you for sharing that. 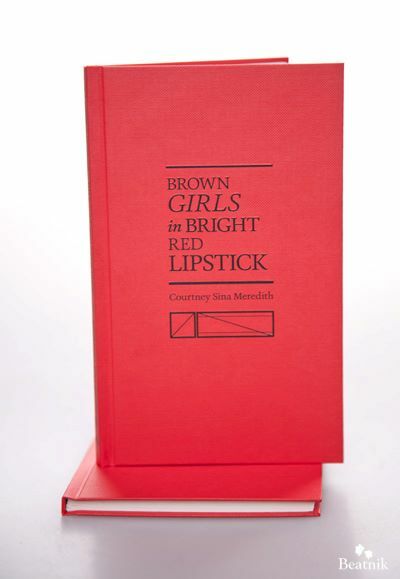 In October 2012, you launched your first book, Brown Girls in Bright Red Lipstick (published by Beatnik) at the Frankfurt Bookfair. I have my own copy of it I might add and I love it! Please share a bit about your book. Courtney Sina Meredith during one of her book signings. CSM: Thank you for supporting my work! Well, Brown Girls in Bright Red Lipstick is the book I always wanted to write, it’s also the book I always wanted to find at the library, or hear on the radio, or read on the bus. The collection is an assortment of reckonings, shards of epiphanies, fleeting moments, endings, beginnings and new ideas. 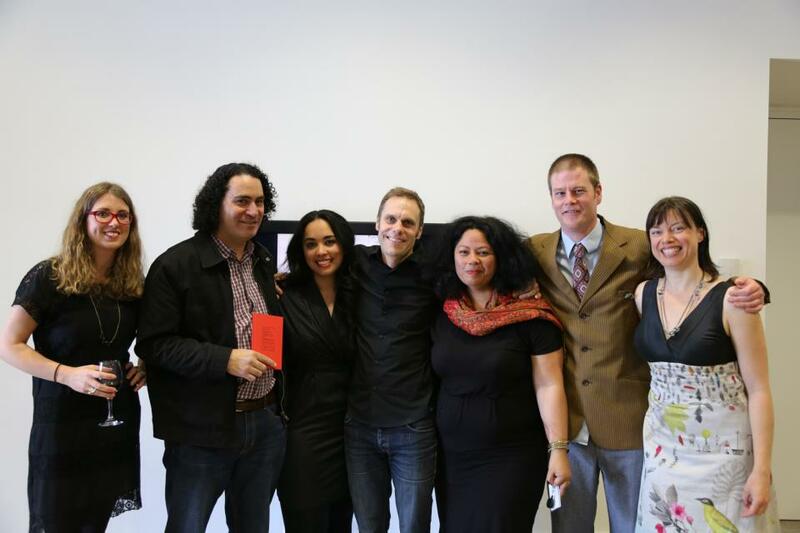 Being the only Pasifika female writer at the Frankfurt Bookfair 2012 was a great honour, it was always an extraordinary study into the inner workings of literature – the business side of the page. I was very proud to launch the book in Germany because it felt like taking all of my friends and family and putting them out on the world stage, like having thousands of people stop and look at the places I grew up, my heart break, my curiosity about life – and for a time, complete strangers turning my pages nodding, looking at each other and saying things like this is what I’ve been waiting for! It was what I’d always been waiting for too! My readers appreciate my honesty, they identify with my experiences, whether they are here in Auckland or reading the book in Hong Kong or New York, I get all kinds of fantastic feedback from all over the world because there is room on the page for my life and the lives of my readers. In some strange, beautiful way, my book is part poetry – part mirror, and it’s that component which I believe is behind the success of the collection in translating itself to very diverse audiences. MP: Absolutely, I found your book to be a great read and I would recommend it to all. For aspiring writers and/or performers, what would your advice be for them? Courtney Sina Meredith with her girlfriend Mink. CSM: Always be happy for your peers, for your contemporaries and the people around you. Art is not a race and your creations were never ‘yours’ to begin with. Everything has its place, there is room for you to be successful, there is room for others to be too. Jealousy is a waste of your energy, if someone does something really well – ring them and let them know, go along and hear them talk, learn about their processes, encourage that person and be a part of their journey – it will make you a better artist, and a better person all round. They will remember your kindness and support you in return, being around sharp minds will sharpen your ideas and develop your work in new and exciting directions. Art is an act of bravery, sometimes you will feel alone and like no one understands you, take heart that great art can sometimes mean a great fall, but the rise will come and when it does those dark days will be well worth it. Courtney Sina Meredith during her live performance for the Wellington book launch. In its finest form, great art is a great contribution to human kind, if you truly want to be revered, remembered – for your work to mean something, have the courage to stand back objectively and pick your processes a part. What could you improve on? Are you stuck on particular themes? Is your work missing another dimension because you’re holding back for some reason? Push yourself to know more to be more. Diversify, invest in yourself in every which way possible. Give yourself permission to love and be loved, to hurt, to forget, to be angry, to grieve and lose control. Challenge yourself to write in different settings, in different cities, with different people. Listen to music and write, paint in the dark, sing when you walk to work. Don’t just surround yourself with people who will tell you time and time again that you’re great, that what you do is the best. The people who really matter will always love you and think you are the best, so go out and explore the world – look for your equals, people who won’t let you perform at half the rate they believe that you could, people who will hold you accountable and have faith in your work developing beyond your wildest dreams. Courtney Sina Meredith during her Wellington book launch. My best advice for writers is to spend more time with visual artists, musicians, chefs, architects, weavers and so on to become a part of a balanced creative community where the goal is excellence. And, finally, you can always change direction. MP: Wow! That is some fantastic advice! There will be a lot of readers who will benefit from this. I appreciate your time Courtney. One more question, it’s more of a light hearted question (lol!). If there is a song that describes where you are in your life right now, what would it be? CSM: Aaah! Haha! It would have to be Oblivion by Grimes hehe! CSM: Lol! Yeah she’s (Grimes) awesome right, young and crazy and hip hop but electro, mean beat. Thank you for having me on your blog sis. I am honoured.